Lisbon is a big city without the overwhelming showboating that you’ll find in other European capitals, and that makes it something very special. You can see some of Western Europe’s most prized artifacts without jostling for room at every entrance, glimpse traditional life as it has played out for centuries, and marvel at architectural splendour built especially for Lisbon’s arching terrain. This is a city of sun and leisure, but steeped in serious history and important expression. From Fado music in the backstreets to gilded churches on stony plateaus, Lisbon has a raw, complex and unapologetic mix of culture that is sure to impress. Get a taste of everything the city has to offer with these eight great sites. A castle with all the essential romance of ramparts, moats and gardens, St. George’s castle dates back to the 6th century (though much of it has been rebuilt). Over the centuries, it was conquered and re-conquered, turned into a royal palace, and today is a peaceful museum and important artifact pointing to Lisbon’s defensive past. The Great Earthquake of 1755 decimated a big part of the structure, but there are still some original walls and several towers, and the view from the top is pretty impressive. 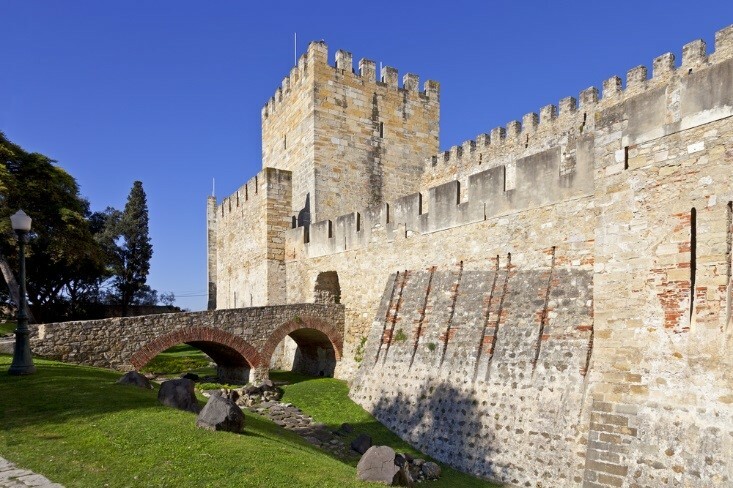 You can walk along the ramparts, or head to the Camara Escura, a periscope that projects noteworthy sites of Lisbon. 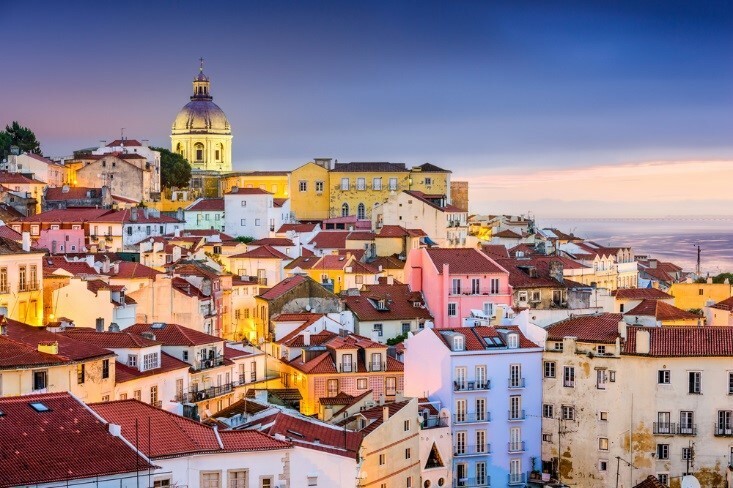 A quintessential Lisbon neighbourhood, the Alfama hosts typical houses, shops, and cafes that serve up aguardente and Fado music. The vibe is loud and colorful, and completely authentic. If you’d like to learn a bit more about Fado music, the neighborhood has the Fado Museum, or else just stroll around the narrow cobbled streets and enjoy the lively, traditional surroundings. It’s been through various settlements since the 5th century, working class and aristocratic, and earthquakes have leveled a good deal of the structures, but it’s still the best place to buy fresh fish from doorways of residents and enjoy the frenetic, uniquely Portuguese atmosphere. 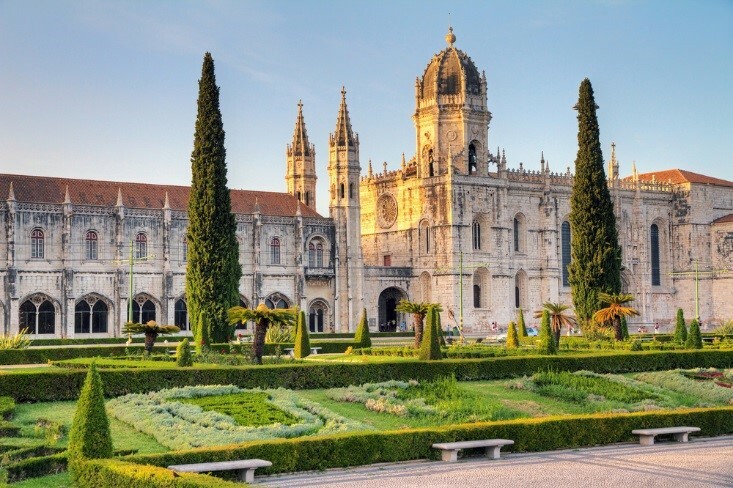 A 16th century monument, mausoleum, and monastery that speaks volumes of Portugal’s wealthy era and accomplishments in exploration, Mosteiro dos Jeronimos should definitely make the top of your sightseeing list. Its intricately carved and sculpted façade is mesmerizing, and inside you’ll see the tombs of many important Portuguese figures, including the famed explorer Vasco de Gama. It’s a triumphant example of European gothic architecture that even managed to gain its own label – the Manueline style of architecture. Look for the collection of different maritime and sea motifs, from coral to sea monsters. 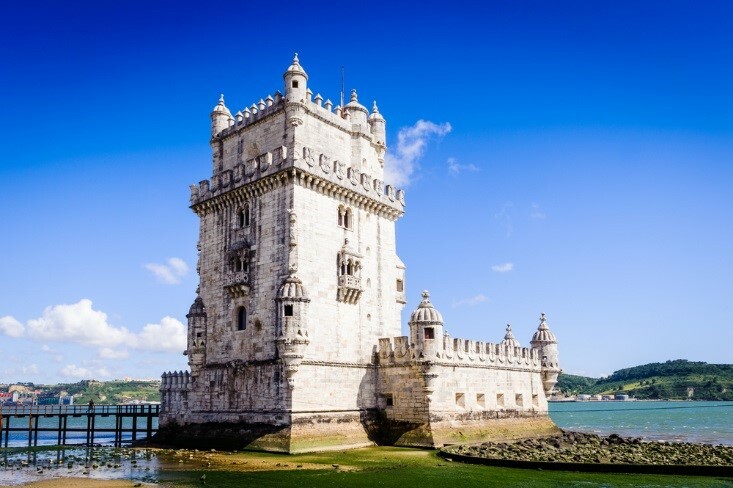 A city icon and an enduring symbol of the Age of Discovery, the Belem Tower is a UNESCO heritage site and a step into Portugal’s history as a European and colonial power. Built in 1515, this massive grey stone building offers unmatched views over the Atlantic – if you’re up to climbing the narrow staircase to the top of the tower. The stonework is remarkable: beautiful flourishes and filigree crowned with a stone rhinoceros below the western tower bid the sailors goodbye as they set out for the New World. The architect had worked on Portuguese fortifications in Morocco, so there’s a visible Moorish influence in design. 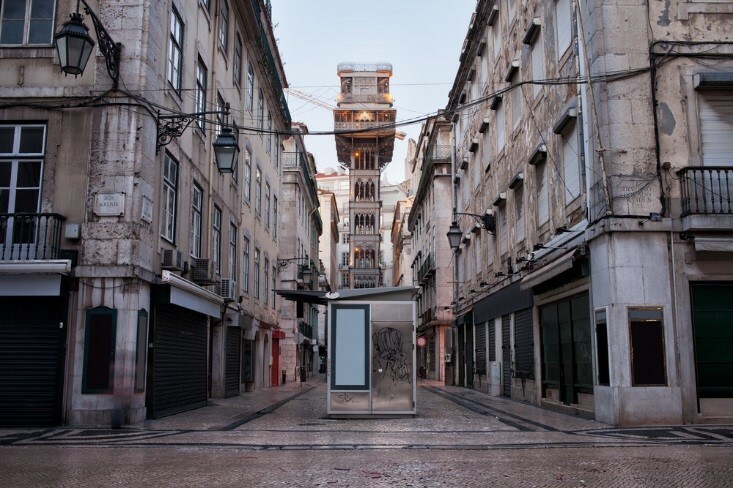 Built by Raul Mésnier – the apprentice of Gustave Eiffel – Portugal’s only vertical street lift whisks visitors to the top of the city for an unforgettable view (and ride). The structure is a neo-Gothic, wrouth-iron landmark, a testament to the historic elevators of the city that once lifted locals to the next neighbourhood in the hilly city. In fact, it’s the only surviving vertical lift (the others are funiculars, and don’t follow a vertical path), and a wonderful way to enjoy a slice of Lisbon history along with a fantastic view from the top. A beautiful former convent with a soaring ceiling and gilded interior, the main draw of Madre de Deus Convent is the extraordinary tile work. 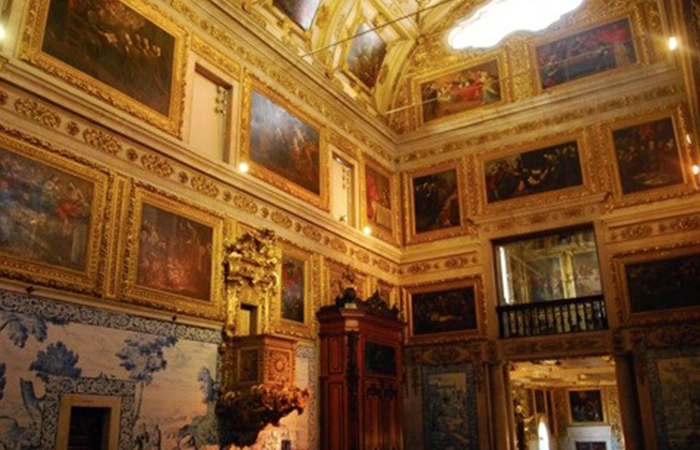 Decorative ceramic tiles, or azulejos, are an important part of Portuguese art history, and this convent-turned-museum showcases some of the most elaborate tile work in the region. Tiles from the 15th century are proudly displayed alongside tiles throughout the following centuries, and they all share the splendid chapel interior with elaborate royal portraits and the crowning achievement – a blue and white tiled cityscape of Lisbon, made of 1300 tiles, making it the country’s longest tile piece. 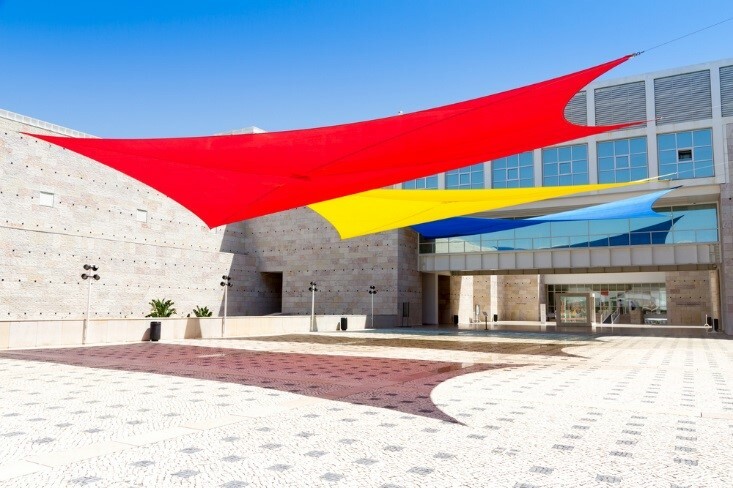 An astounding collection of modern art from the personal collection of a Portuguese millionaire, the Berardo Museum is a treasure trove of colorful, eclectic pieces. You’ll find a good deal of Warhol, Dali, Picasso, and Pollack here, among other modern masters over two floors of gallery walls. Berardo’s art pieces number in the thousands, but you’ll likely only find about 250 paintings, sculptures, and photographs on display at any given time. Whether or not you’re a modern art aficionado, this museum is certainly worth a visit – and to top it off, admission is free. 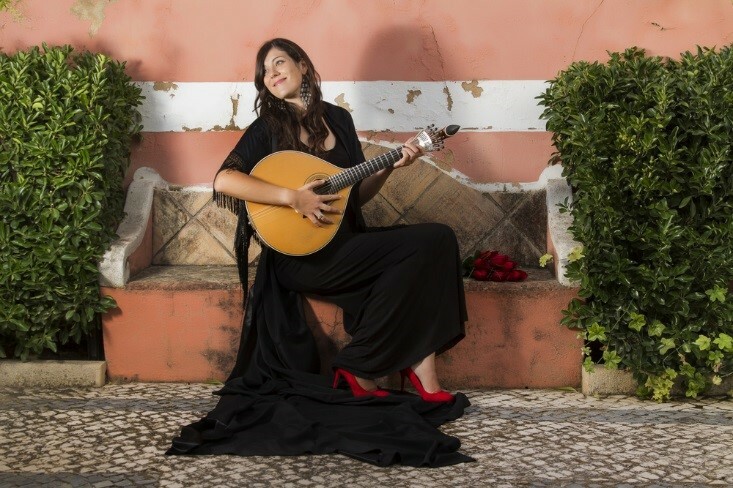 Fado music is melancholy, poetic, and an essential part of Lisbon culture. An arrangement of guitars and mandolins set the backdrop for the Fadista, who sings stories of love and sorrow, usually to an audience in an atmospheric restaurant. There are plenty of places to enjoy the unique sounds of a Fado performance, from the revered Clube de Fado in Alfama to the quirky and welcoming A Tasca do Chico – a spot for notable names and amateurs alike. Since dining and Fado go together so very well, be sure to try some local specialties along with the performance, like burnt chorizo or sardines. If you have the time, take a couple of days to venture outside the city center and into Lisbon’s surrounding beaches and fishing villages for a quaint and comfortable take on Portuguese culture. Sitra is a fantastic town, brimming with fairy tale gardens and towers. Be sure to schedule a day trip, or if you can, put aside a few days to explore the rich layers of history in this countryside gem.